Although children and teenagers generally spend the summer by a pool, at the beach or with their friends, many summer performing arts camps exist to help students enhance their acting skills or improve their communication skills. While parents are at their day time jobs, summer acting programs for kids can provide a supportive, fun environment where young people can be creative, expressive and improve communication skills- traits that improve performance in school and enhance one’s life. The process of learning and striving for personal, individual excellence is important in developing self-confidence. Each class is age-appropriate; though the description of a class is the same for all age groups, the level of work changes depending on the age of the class so students are encouraged and challenged. The emphasis within a class varies each semester and the specific work is always different, thus repeating a class is encouraged to achieve a higher level of excellence. These summer camps provide kids an opportunity to learn from and interact with some bright and creative acting coaches. The programs are balance between being fun and educational for its students. 1. Your children meet a variety of people. Summer acting classes bring your child in contact with kids from different schools, communities and cultures. 2. A wide variety of experience levels for children of all ages. 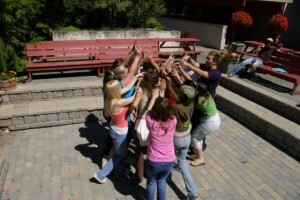 Different programs are offered depending upon the previous amount of acting experience to ensure that the campers are receiving proper instructions while surrounded by peers with similar ability levels. 3. Advanced acting possibilities. For above-average students, acting summer camps offer the opportunity for a temporary move to Los Angeles, where campers are able to live in the heart of the entertainment industry. They go to school, attend auditions and receive additional acting instruction. Since each and every child is unique, it is important to identify the needs of each individual. By selecting a summer acting camp or program that meets your child’s needs and interest, he or she will enjoy the camp even more. By participating in fun and enjoyable activities, your children will develop new and improved acting skills, new relationships and a lifetime of summer acting camp memories to enjoy.